If your grocery bill is groaning, there’s nothing better than discovering cheap cuts of meat to add to your weekly menus. Not only are they packed with nutrients, they require minimal effort to prepare and are full of rich flavours. 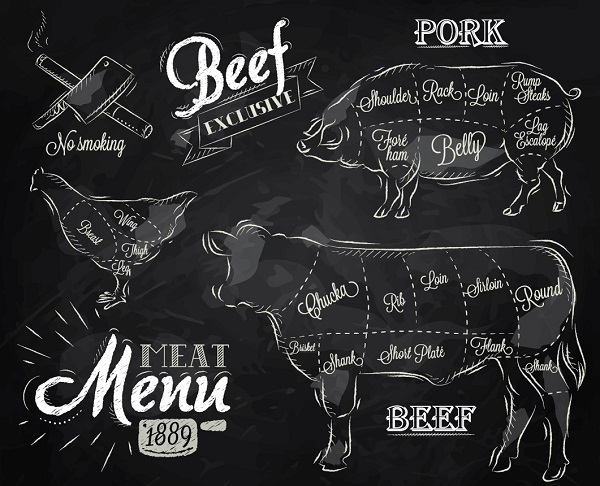 Whether you love beef, lamb or pork, there is a cut of meat to suit all carnivores. If you are overwhelmed by the variety and choice available, download the Meat and Livestock Australia smartphone app to best match meat cuts with cooking methods. When selecting your cut, it is best to ask the local butcher. A good butcher will prepare the meat and provide you with exactly the right portion you need, unlike pre-packaged meats, so there is no waste. The butcher can also give you tips on how to cook it perfectly. Cheap cuts are taken from areas of the animal's anatomy that work harder, such as the shoulder or shank, and therefore traditionally require longer cooking times. However, slow cookers and pressure cookers have helped thousands of time-poor home cooks to master this style of cooking with minimal effort. If you are looking for a warm and hearty meal, why not try using a slow cooker to cook meat throughout the day – low and slow. Kambrook’s Pressure Express digital multi cooker not only allows you to slow cook delicious pork shoulder, but also sautés, slow cooks and pressure cooks a variety of dishes. And the wonderful thing about recipes like pulled pork is that it can be used in a variety of ways. Try adding tender pulled pork to fajitas on Mexican Mondays, smokey BBQ style burgers or as a twist on a Sunday roast. Divide leftovers into meal size portions and freeze for quick microwave meals later! When storing fresh meat in the fridge, check the Beef and Lamb website for recommendations on how long meat should be refrigerated. If you don’t intend to cook the meat on the day of purchase, ensure you remove it from any plastic wrap, transfer the meat to a container or plate and lightly wrap in foil to allow for air flow. What are your favourite cheap cuts of meat? Tell us about favourite go-to winter meal ideas in the comments section below.